Updated: Removed Verizon from list of supported carriers. 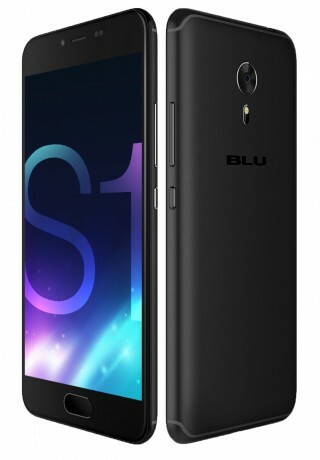 Blu Products recently announced the S1, an inexpensive Android smartphone that's available unlocked from Amazon.com and BestBuy.com. One of the chief benefits of the S1 is its wide compatibility with U.S. LTE networks. It supports AT&T and T-Mobile, and, unusually, Sprint, as well as their prepaid services including Cricket Wireless, Boost Mobile, and MetroPCS. Blu says it also offers SIM kits for the S1 from Tracfone, Net10, and H2O. The S1 features a curved glass front with metallic paint on the smooth rear panel. The 5.2-inch display offers 720p HD resolution in a 16:9 aspect ratio, and the phone is powered by an octa-core 1.5 GHz MediaTek 6750 processor with 2 GB of RAM. The main camera has a 13-megapixel sensor with an aperture of f/2.0 and an LED flash, while the front camera has a 5-megapixel sensor. Other features include Bluetooth, FM radio, GPS, and WiFi; 16 GB of storage and support for microSD memory cards; front-mounted fingerprint sensor; and a 2,800mAh battery. The Blu S1 runs Android 7 Nougat and is available online for $130 from Amazon and $180 from Best Buy. Justice department staff reviewing the proposed merger between T-Mobile US and Sprint have informed the two companies that they're disinclined to approve the merger as currently proposed, on antitrust grounds, according to the Wall Street Journal. The $26 billion deal would reduce competition and likely lead to lost jobs in the long run, although T-Mobile and Sprint claim otherwise. If AMZ is at $130, BBY will be at $129, what are they thinking?